[pb_slideshow group=”1″] Wednesday, June 26 – Day 1 Highlights – Welcome to the lovely San Diego! I decided to go to Optometry’s Meeting (OM) because I wanted to check out the interesting Continuing education (CE) courses! I signed up to be a CE monitor and Wednesday was our training session. The CE Office was busy, busy, BUSY! They handed out walkie-talkies and signage to the CE monitors and assigned them to a course to keep watch!! This year OM went electronic! No longer were there stamps and cards, but ODs get credit for their CE course via their badges. I held a nifty machine that scanned the bar code on each doctor’s badge, and then when the doctors complete a course evals, they will receive full credit for the course! Being a CE monitor was a great experience, you can work things out with your partner to sit-in the course so that you can do your job and at the same time listen to the CE course itself. I attended our very own Dr. Trevino’s lecture about the Posterior segment and Horner’s syndrome (to the pre-opt students reading: you will be shocked with the amount of info you will learn with those terms!) The CE monitor sitting outside got a chance to network with passing by ODs who are on their break or just exploring OM! I would love to do this again! I met so many cool students from other schools being a CE monitor! I also got to learn a whole lot! Thursday, June 27 – Day 2 Highlight – Varilux® Optometry Student Bowl™ It’s so fun and amazing that I just can’t explain it in words, so here’s a video! Friday, June 28 – Day 3 Highlights – OM Exhibition Hall!! The San Diego Convention Center was huge! Then again the new technology and equipment’s for optometry was plentiful and some were huge too! I was awed by all the innovations that each booth had to offer. Booths were occupied by different businesses, from small, corporate to international groups! I talked to all sorts of vendors to get a feel of what I can go into in the future. It is true that OM is catered to ODs but like myself, there were many students prowling the halls in search of guidance and perhaps free stuff! There were snacks like ice cream, cotton candy, chips, dips, and cheese! Freebies and raffles were scattered throughout the booths and days that the exhibition hall were open. My good friend and classmate, Irina Yakubin, was chitchatting with a young man at the booth dedicated to raising awareness for albinos because her close friend was also albino. I joined in and learned so much! He told us that vision may be impaired in albinos and spoke to us about other symptoms that they may experience. Down by another booth, I bumped into a friend from my undergrad. Rebecca Wong, a UC Berkeley Optometry student was manning a booth. She told me all about http://www.optometrystudents.com/ and entered me to a raffle. When the names were selected, I won an incredibly cute plush! It’s an eyeball!!!!! Saturday, June 29 – Day 4 Highlight – Celebration of Optometry I’M ON A BOAT for the “Celebration of Optometry (Presidential Celebration)”! How cool is that? 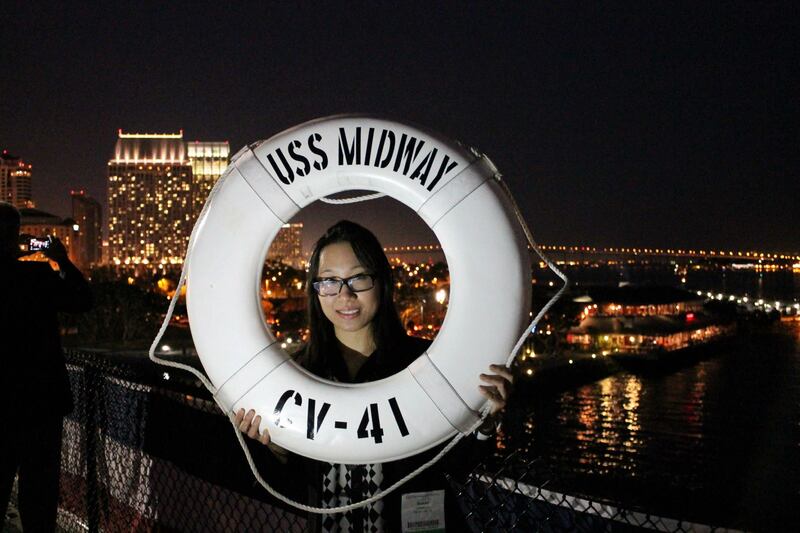 After a short intro to the new AOA and AOSA officers, the attendees were shuttled to the docked USS Midway. It was a floating museum with airplanes and other retired Navy equipment’s on board! Here’s a slide show of the captivating night sky of San Diego along with images of the lively bunch on the USS MIDWAY! ____ Some photos are courtesy of Dr. Mark Landig, OD. 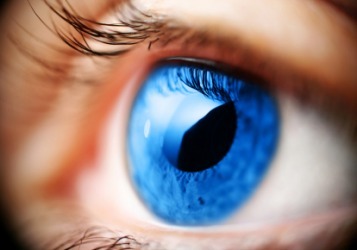 The ever changing career of optometry has yet another advance in contact lens technology. Alcon has released brand new technology that, they say, will change how we fit contact lenses. Here at UIWRSO, we had the privilege to attend a presentation on the new Total Dailies 1! Many of you who read this blog are soft contact lens wearers. You know how uncomfortable and annoying your lenses can be at times. Well, if this is you, then these new lenses may be the answer to all your pain. Alcon has recently released their newest line of soft contact lenses. They boast a new type of technology called “Water Gradient Technology.” What this means is the core of the lens has less water than the outer surface of the lens. This is important because the core is made of silicone, which allows more oxygen to transmit through the lens, and the high water content outer surface allows better comfort with all-day wear. Well, up until now, scientist have only been able to make contact lenses out of a single material. What most current soft contact lenses are made of is silicone hydrogel. Silicone hydrogel has excellent comfort and oxygen transmission, but because of the nature of silicone hydrogel, it is not a very “wettable” material, so it makes you more aware of the lenses, and is more uncomfortable as the day goes on. Studies report that nearly 48% of patients quit wearing their lenses because of discomfort. This is where the new water gradient technology comes into play. Since the outer surface is nearly 100% water, it provides an extremely wettable surface that allows comfortable all-day wear. This is the only lens of its kind. So, if you are one of those people that experience uncomfortable contact lens wear, schedule an appointment with your local optometrist, or if you’re in San Antonio, you can make an appointment with the UIW Eye Institute, and maybe you too can experience the “WOW” factor of the new Alcon Dailies Total 1. 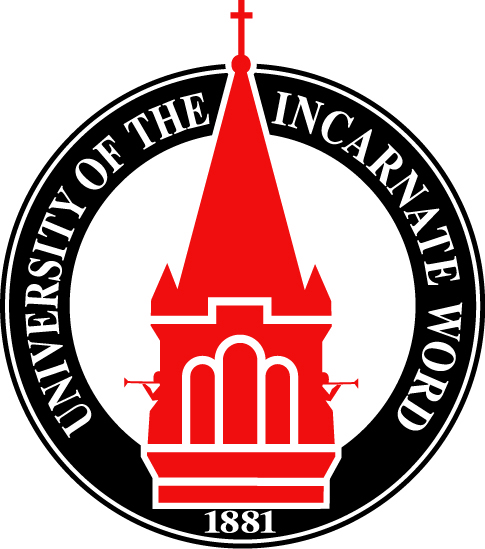 I am a 3rd year intern at the UIW Rosenberg School of Optometry. I was home grown in Dyersville, IA. I have a brother and sister, of which I am the youngest. My hobbies include playing ultimate frisbee, basketball, tennis, and anything else my friends want to play, and jamming out on my guitar. I applied during my senior year in Undergrad, so it was a rollercoaster ride since I had other things keeping me busy like classes and work. I thought I was going to get everything done for OPTOMCAS for the early admissions but by the time I submitted everything I was almost considered a late applicant! MORAL OF THE STORY: do everything earlier than you think!!! PERSONAL STATEMENT: Get friends to proof read your personal statement. I sent my optometry personal statement out to 5 close friends, 3 faculty/professors, and I only got a response from 1 faculty/staff and 1 friend. The others just said : LOOKS NICE! Honestly, I don’t think they read it! The friends who took time to respond typed out a whole page of errors and suggestions!!! It really revamped my personal statement! On a side note, after you get into a school, expect to have friends send you their personal statement! I really enjoy helping them out and taking the time to give them critical suggestions, but ultimately it’s up to the writer to pick and choose what they want in their statement! TIPS: no laundry list of all the stuff you did. Mold it into a story; pick and choose from a few experiences that made you pick optometry. The OPTOMCAS application already has a section for you to post all-things-optometry so use the personal statement to show them your heart <3. You get your score right after you take your test at a testing center. There will be no surprises, but there will be waiting time until the score finalizes and you put that into the OPTOMCAS application. Letters of Recommendation (LOR) – wow the professors and doctors you asked are probably really busy – do it ASAP. Also I asked people that I come in contact with, so that I can see what’s the progress on my LOR. Also just because they wrote it, it doesn’t mean they will remember to submit or confirm it on OPTOMCAS! If they are bad with their emails, they may not log in and hit “confirm LOR” until a week later!!!! A faculty who was the club advisor to my extracurricular activities: 1 month and 4 days!! I hope these tips come in handy! Best wishes applying!!!! Oh, the days of applying and preparing for optometry school! If you are at this time in your life, normally around the end of your third year of undergraduate, you are probably trying to figure out the best way to go about this process. A good place to start is your faculty advisor or pre-health advisor for pre-optometry at your college or university. You will most likely start the application process through OptomCAS and a good reference about that process is here: http://www.optomcas.org/sample-page/how-to-apply. All optometry schools in the United States utilize OptomCAS for the application process. It’s also important to remember that each school may have their own supplemental application that you will have to fill out in addition to the Optomcas.org application. At the website I listed above you will be able to find a list of all the optometry schools in America, and from there you can Google search the schools to find more information about each one. To be honest with you, you can only learn so much from a website, or from somebody else, like myself, telling you about a school. One of the best ways to decide whether or not a school is for you is to take a tour of the campus. Most schools will give you a tour the day of your interview, but if it is possible to tour before your interview, I would definitely jump at the opportunity. Overall, you just need to put in time and learn as much as you can about a school that you may be interested in attending. These were on my list of things to know about a school when applying; class size, curriculum, when do you enter clinic, and does the school operate on a quarter or semester system. I’m just going to walk you through my process of being accepted into optometry school. My story is not quite the average optometry intern story, but I did have to jump through the same hoops as everyone else. My quest to become a Doctor of Optometry started when I was in high school. I had a passion to help people, and eyes seemed very interesting. My senior year of high school I sent a request to the Illinois College of Optometry for more information about the school. They sent me a little booklet that had the list of prerequisites and little tidbits about the school. At that time, I thought I would probably go to ICO if I had the chance. So, after high school I entered my undergraduate at Iowa State University, my goal was a little different, I was going to get all the prerequisites done and then apply as fast as possible. I entered college with 23 credit hours, from college courses I took while in high school, so I was shooting to get into a school of optometry after my junior year of college. You should understand that every optometry school has different requirements for acceptance. Some require a bachelors degree, while others only require that you finish the prerequisites. During the spring of my sophomore year of college, I shadowed my optometrist every Tuesday from 1:00pm to 7:00pm. I was able to see how a private practice functioned on a day-to-day basis, and asked many questions, to learn as much as I could. So, during Christmas break of my junior year of college, I took the OAT and received a 300 or 310 overall. I then began the process of applying. I used the optomcas.org website and submitted my application to four optometry schools, and submitted all the supplemental applications, directly to the schools. I heard back from ICO in February and set up my interview for March, when I was on spring break. I heard back from UIWRSO in April, and had my interview the same month. My interview at ICO was not the best interview I’ve ever had, but I realized when they gave us a tour of the facility, that this was not the school for me. Please don’t take this as a knock on ICO; they have a great program there. The school just didn’t fit my needs. My interview at UIWRSO was completely different; I must have gained more confidence from my first interview because when I walked out of the interview I felt great. The school had top of the line everything, and the atmosphere was very welcoming, and friendly. I felt comfortable here. The faculty seemed very encouraging, and like they wanted me to succeed! A few weeks after my interview, I found that I had been put on the “waiting list.” If you are applying to optometry schools right now, you may know what this means, but if you don’t know, here you go; the “waiting list” is essentially a small list of students that have the credentials to be accepted, but are facing competition for admittance with other students with similar credentials. Some schools use the waiting list as a way to ensure the most qualified applicants are accepted when evaluating students who are not eligible for a direct admit. As you can see, the Lord blessed me by moving me far enough up that list to be accepted when other people decided to go elsewhere. I had done it! I was starting my optometry career after 3 years of undergraduate! The thing is, I was not accepted until 1 week before orientation. I literally had a weekend to pack up, and move from Arlington, TX to San Antonio, TX. Talk about a hectic week, but it all came together and I was able to make the move and start optometry school. My path may not be “traditional,” but I knew what I wanted, and I went for it. In a nutshell, make sure optometry is what you really want to do for the rest of your life. Get in with a practicing optometrist and shadow, or work for them. Try to understand what optometry is, and the role that optometry plays in the medical field. One thing I know faculty look for when interviewing students, is their passion for optometry, because when you and I graduate, we are the face of optometry, and we all want the very best representing our profession. Talk about a breakfast for champions! Whether you’re looking for a nice home cooked breakfast with scrambled eggs, bacon, hash browns, and some specialty pancakes, or a nice late morning brunch, this is the place to be. This little diamond in the rough has been featured on the hit tv show Diner-Drive Ins- and Dives, and is known for their delicious pancakes, as their name would imply. There are only two locations here in San Antonio, one is quite close to the optometry school main campus, off of Huebner road, and the original location, located off of Embassy Oaks. Some claim the original location is superior to the 2nd location off of Huebner, but I will let you decide for yourself. The menu is full of breakfast items, from omelets, to hamburgers. 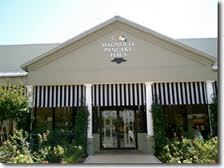 The meal that I usually get is the Magnolia’s Breakfast with coffee. Their coffee is some of the most delicious coffee I have ever tasted! So, my breakfast is scrambled eggs, bacon, hash browns, and I always get the chocolate chip pancakes! That’s right, I said chocolate chip! 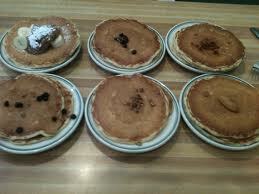 If you can’t tell, I have a bit of a sweet tooth, and boy do those pancakes satisfy its craving. They have many other specialty pancakes that I can’t remember off the top of my head, so you should definitely go check it out yourself! Be ready for a wait though, at the original location, the wait is normally around 1.5-2 hours and at the Huebner location it is around 1 hour, but I guarantee it is worth it!